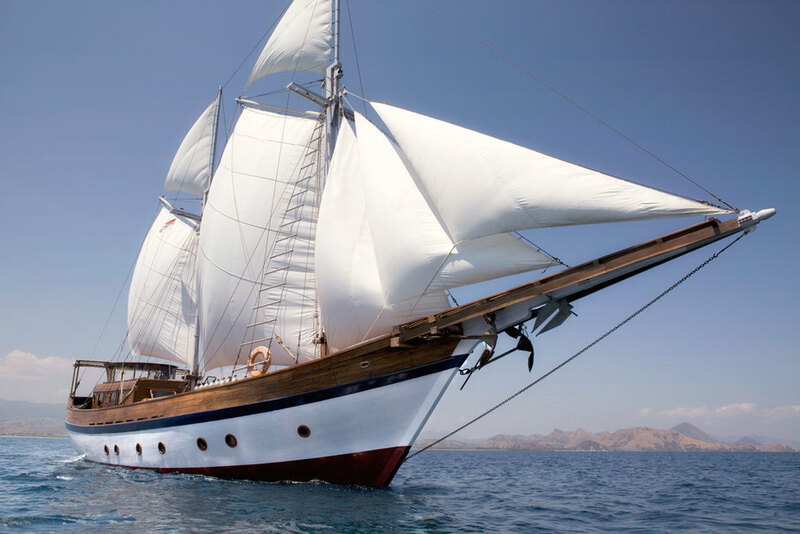 Mantra is a classic 30-metre phinisi style yacht merging retro lines with modern technology that launched in Indonesia in the summer of 2015. Her style harks back to the ancient spice trading days, and she was built traditionally on the island of Sulawesi using ancient boatbuilding techniques. Mantra takes guests to some of Asia’s most beautiful and remote destinations steeped in epic history on a vessel built to evoke times gone by. Whether guests are seeking the thrill of adventure or the simplicity of a tranquil sojourn, Mantra is a wonderful option. 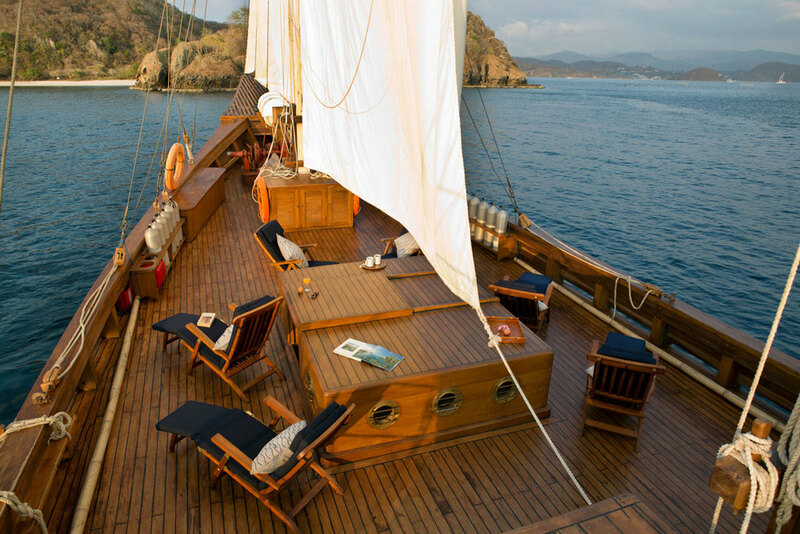 Sailing amongst teeming coral reefs, tangled mangroves and towering volcanoes, she offers an unforgettable escape in the waters surrounding Bali, Komodo National Park, Raja Ampat and the Banda Islands to name a few of her staple destinations. 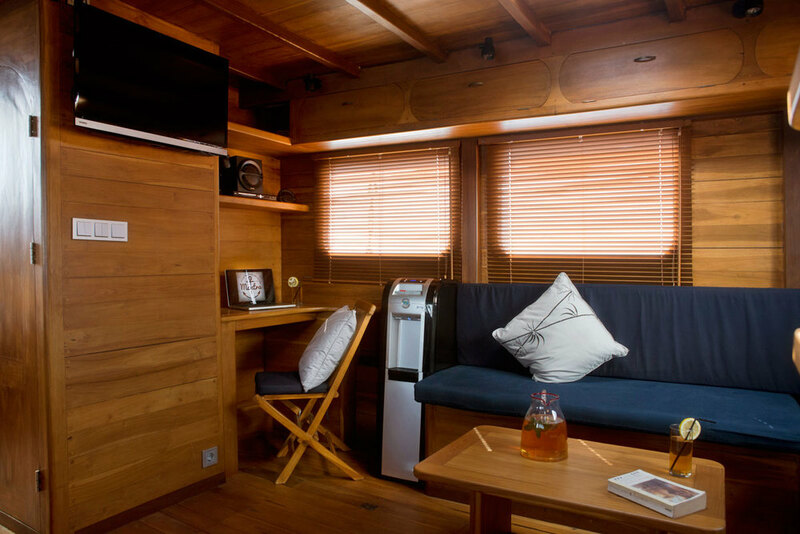 Mantra is ideal for groups of friends or families travelling with children due to her layout, which includes single beds in each of her 3 cabins. 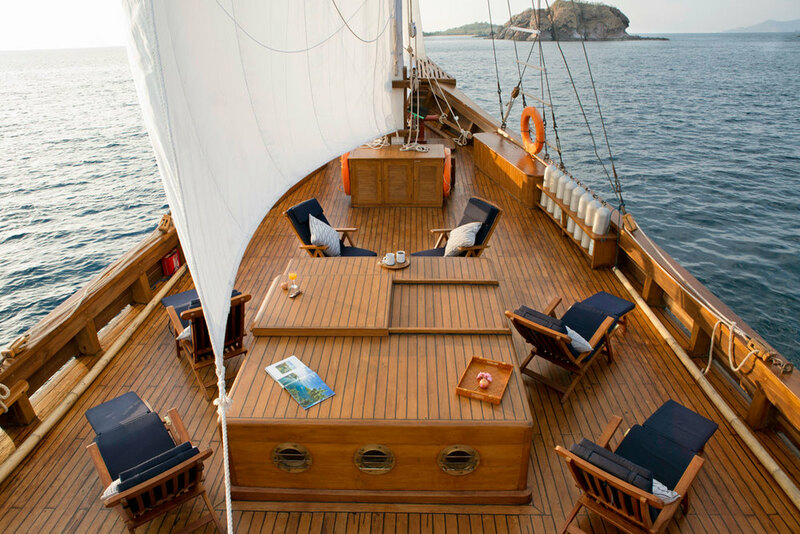 Her crew of 7 includes a knowledgeable Indonesian captain, a cruise director, a dive master and a chef. 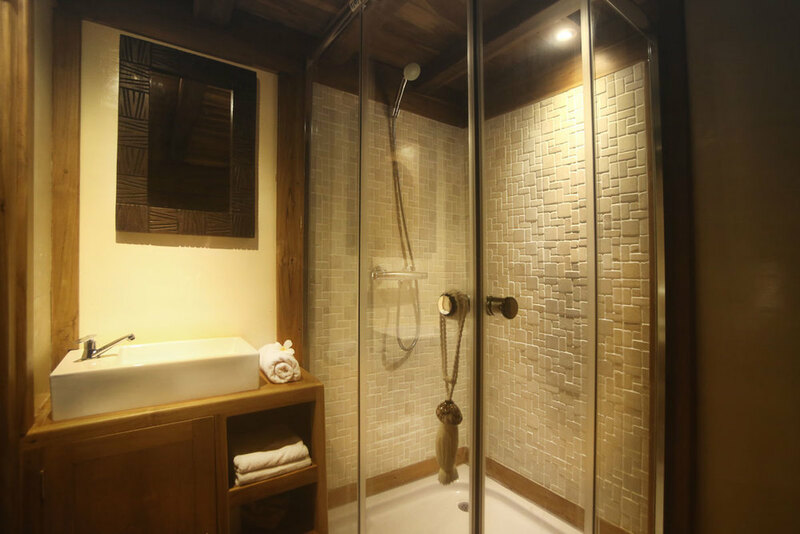 Mantra’s three ensuite guest cabins are contemporary, comfortable and spacious. 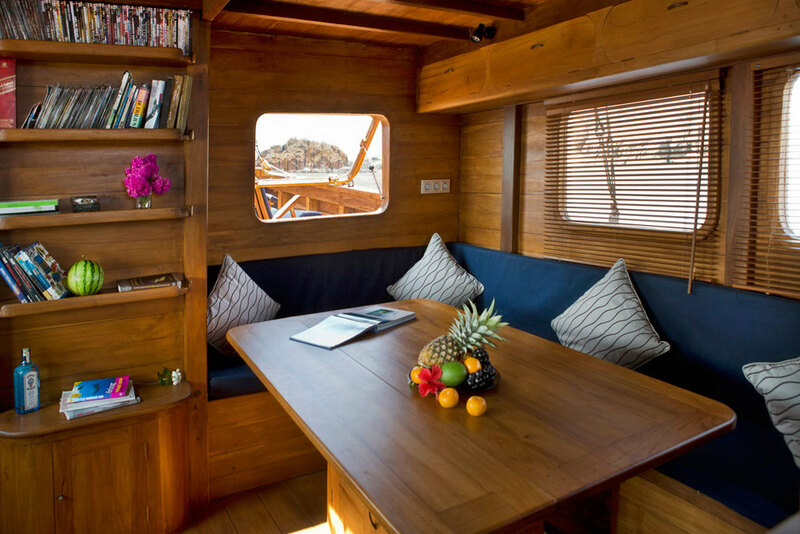 Each features a queen-size bed and either one or two additional side beds, accommodating six in total comfort and an additional 4 guests if using all bunks. 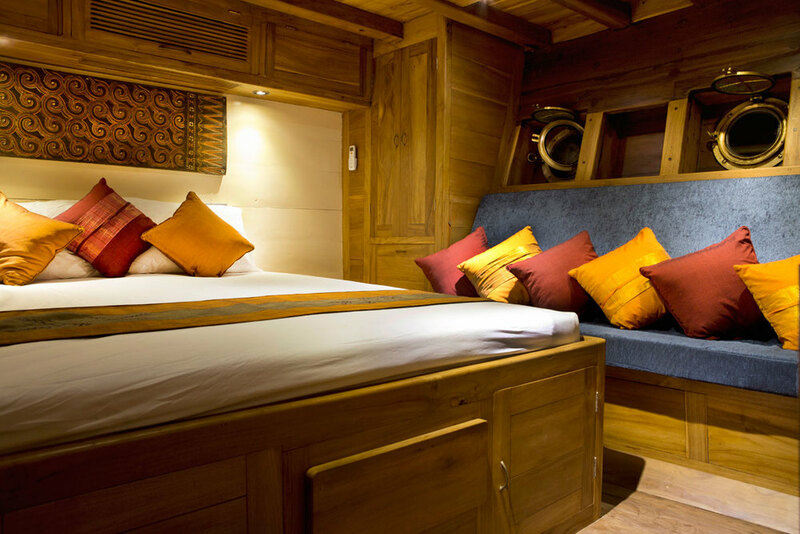 Each cabin is air-conditioned and has a relaxing ambiance, surrounded by light teak panels and Indonesian textiles. 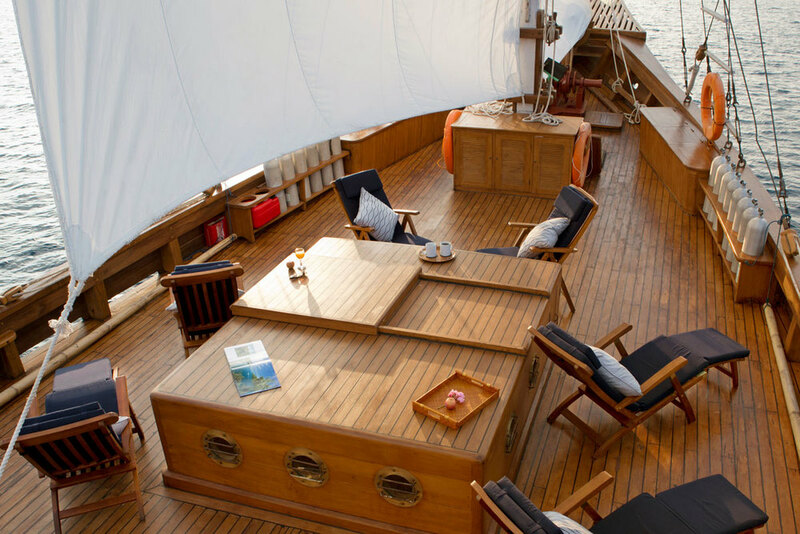 Aside from the boat’s cabins, an indoor lounge, library and dining area offers space for entertaining, while out on deck there’s additional dining space on the aft deck, and a large lounger on the top deck for soaking up the sun. Mantra is well equipped with snorkelling and dive gear for those seeking to explore the underwater world. 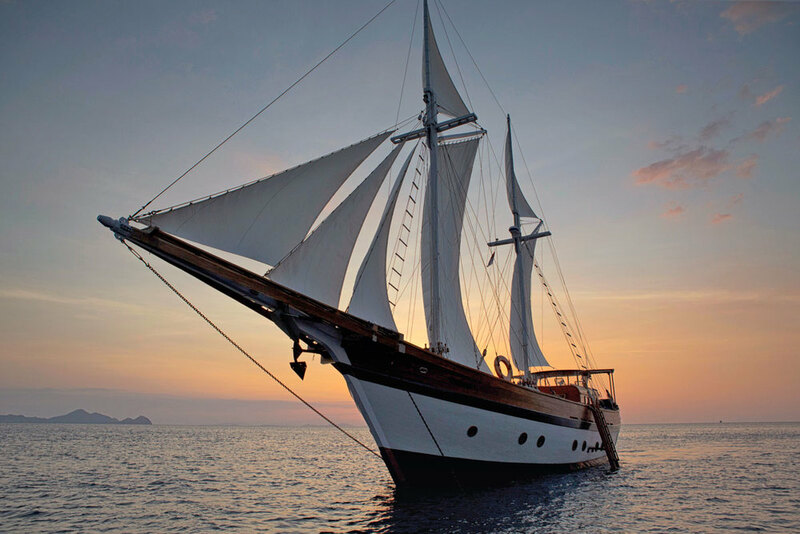 Her friendly crew looks after every element of the trip to ensure guests have the most seamless and exciting adventure among the beguiling tropical islands and crystal clear water of the Indonesian archipelago. Mantra was built in 2014 and spans 30m with a beam of 3.1m and a draft of 3m. 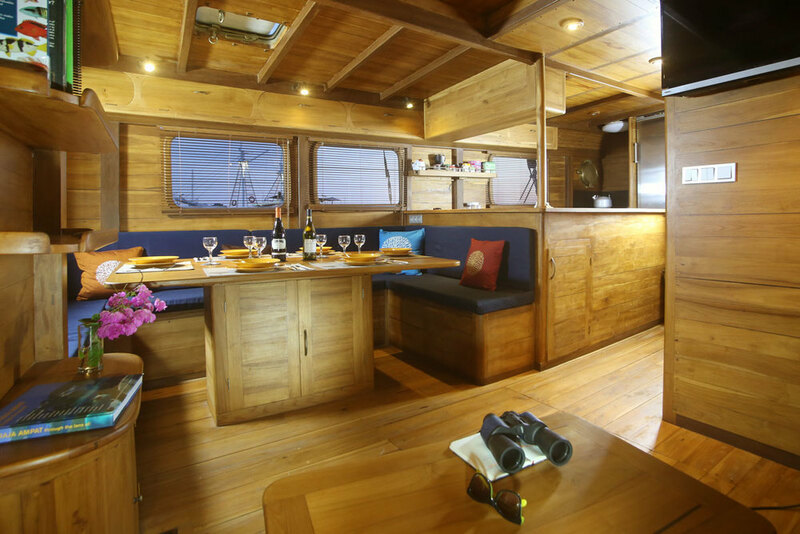 3 cabins accommodate up to 10 guests. She has a maximum cruising speed of 8 knots.